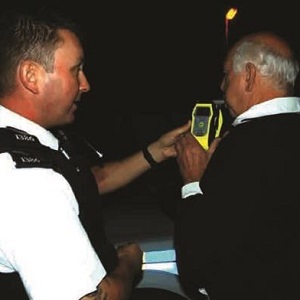 Road safety & breakdown organisation GEM Motoring Assist says the recently announced rise in drink-drive road casualties underlines the importance for all drivers and riders to take personal responsibility for safety. The figures show a seven per cent increase in the number of people killed or injured in traffic collisions where at least one driver was over the drink drive limit. The call comes in the absence of any Government interest in reducing the present limit (80mg of alcohol for every 100ml of blood*) to a realistic level, according to GEM. Alcohol impairment beings with the first sip, and even the smallest amount of alcohol can affect your ability to drive safely. If you drive with half the current legal maximum amount of alcohol in your system, your risk of being killed in a collision is twice that of someone who has not consumed any alcohol. Neil Worth concludes: “Scientists and road safety professionals could not be clearer in their messages that driving after drinking alcohol is risky. We now call upon the Government to make its drink-driving laws clear, strict and unambiguous – and in so doing to create an environment where pointless and unnecessary loss of life through drink-driving becomes a thing of the past.